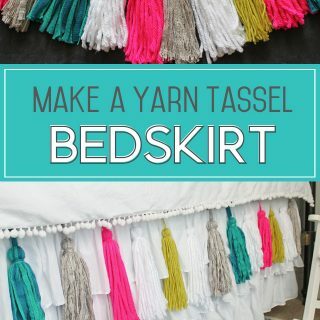 Step 1: Make all your pom poms. This is the most time-consuming part of the project but it’s actually pretty relaxing for me. 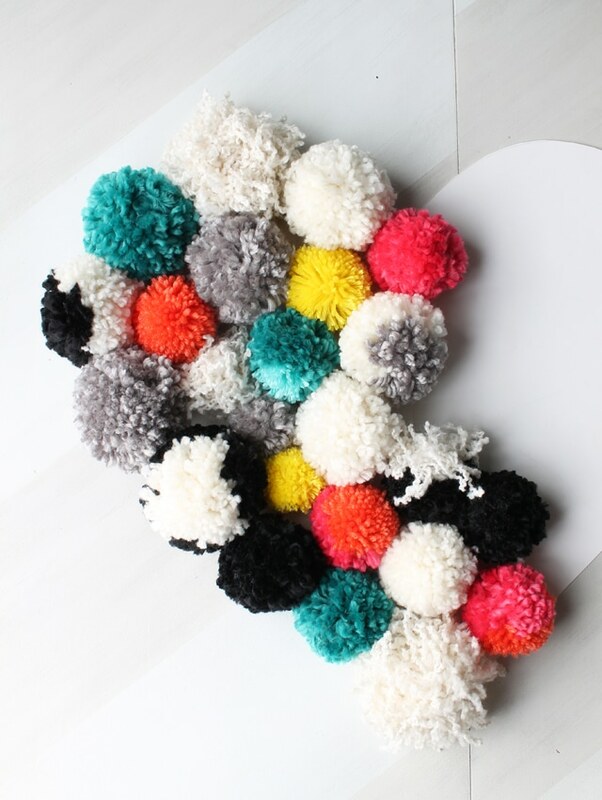 I made all of my pom poms while getting caught up on shows on Netflix. 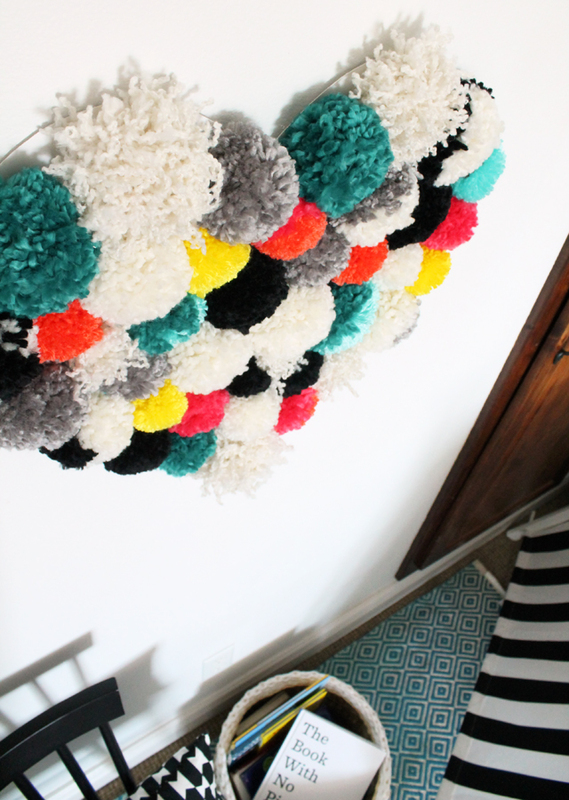 For this project, I used the two largest sizes of pom pom makers from my local craft store. 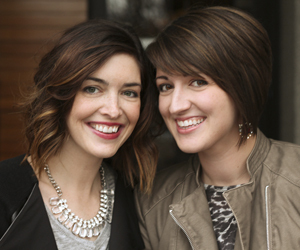 Step 2: Create your design. 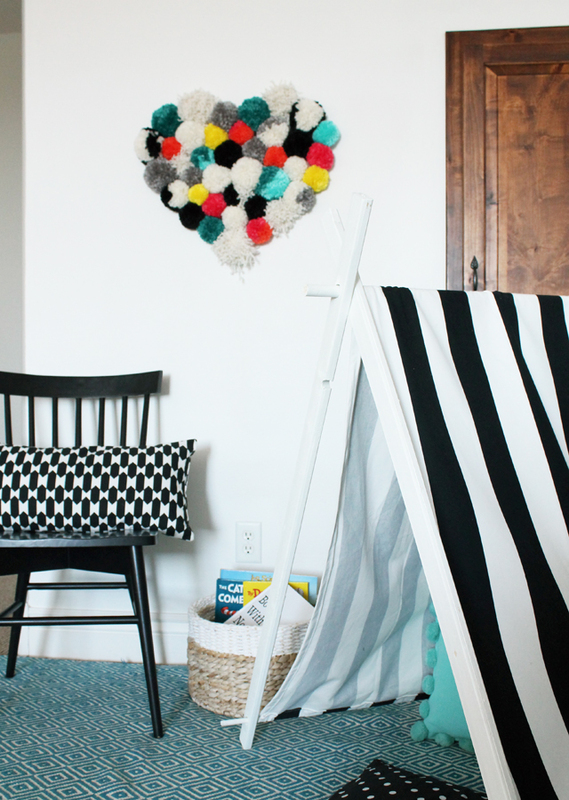 Lay the pom poms out on a white poster board until you are happy with the shape or design. I wanted to make a heart, so first I folded my poster board in half and slid it under the heart formation of pom poms. With the fold in the middle of the heart, I traced the outer edge of the shape on the poster board. Step 3: Cut the poster board in your desired design. 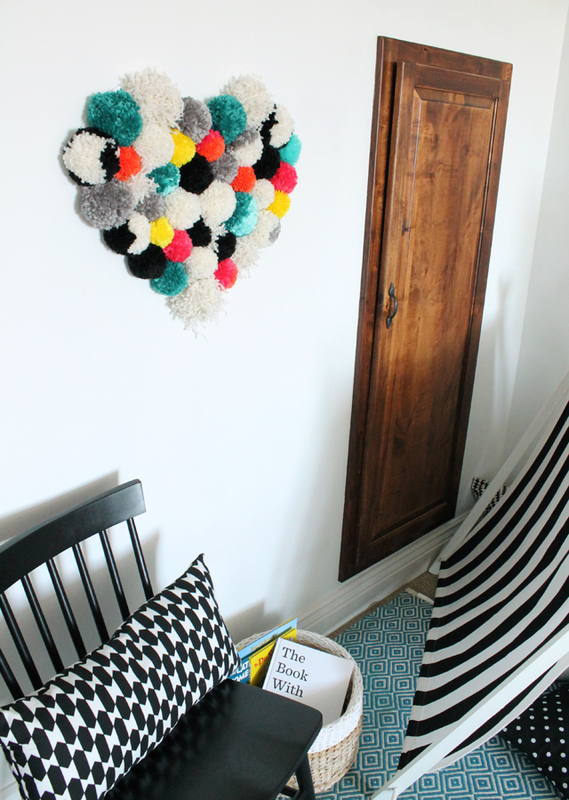 Once the heart shape was cut out, I slid it carefully back underneath the pom poms and rearranged them a little until I had them all in place. 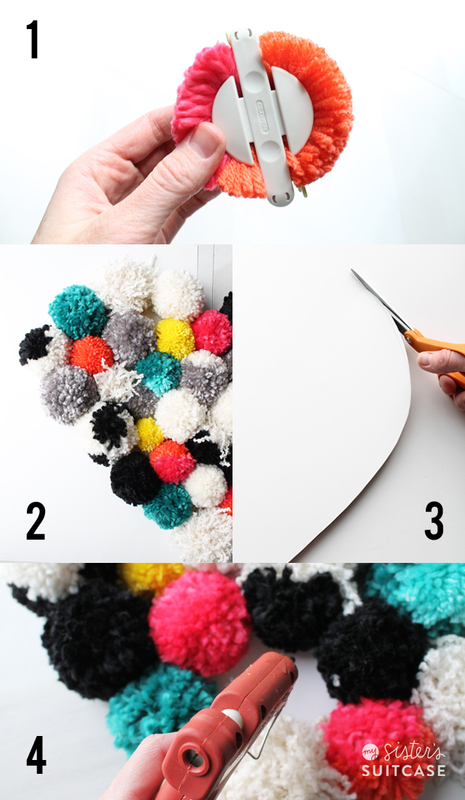 Step 4: Attach pom poms to poster board with hot glue. I worked from the outside edges, gluing one pom pom at a time to secure it to the poster board. 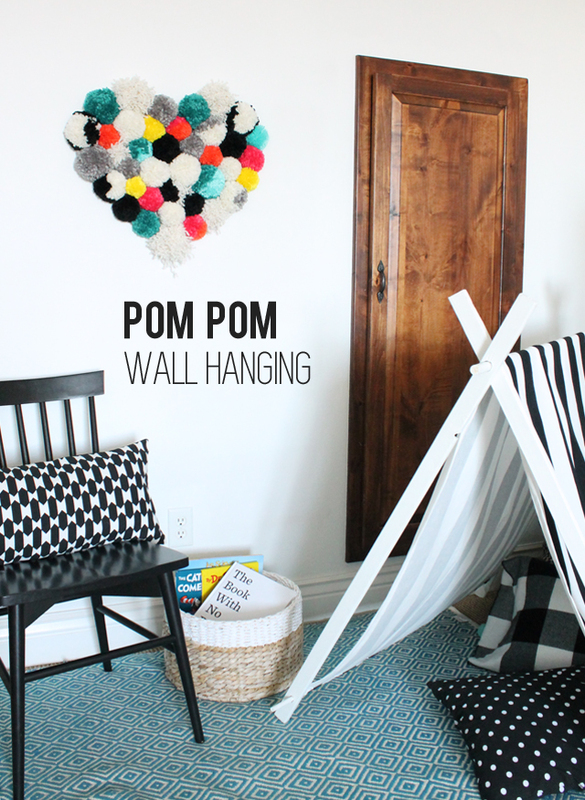 When all the pom poms are in place, it’s time to hang it on the wall! I used three of the Command brand small picture hanging strips, and since it’s pretty light, that’s all I needed to secure my wall hanging. I love how it turned out! 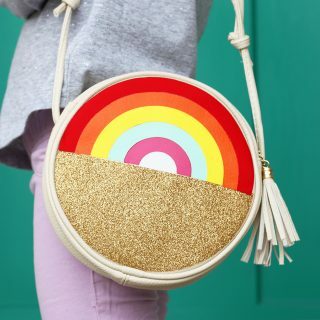 It has a retro, whimsical feel that is perfect for our family space!